Large 100% cotton cushion by Raine And Humble with fringing around the edge and a large black palm leaf print on a taupe background. Just be careful with the fringe. 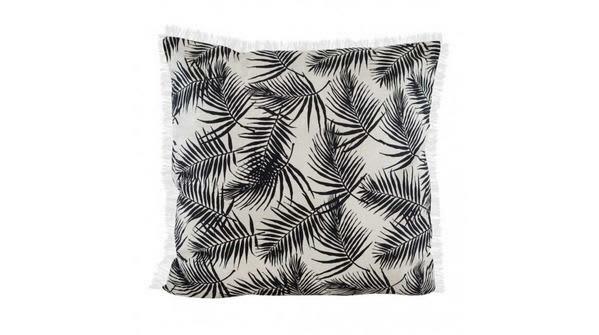 Despite the palm print, this cushion is perfect for all year round and looks fantastic on a bed or sofa.